A marvelous piece of modernist design from the renown experts of stainless steel manufacturing. This waterfall design cocktail table is exquisitely crafted, expecting nothing less from Brueton. The piece is seamless in structure with ground and polished seams to hide all welds. The heavyweight stainless steel is polished to a mirror-finish playfully displaying abstract reflections of the setting its in. The piece is equipped with adjustable levelers for optimal installation and to avoid structural contact with the floor. Furthermore a generous piece of clear glass is recessed onto the top of the waterfall design. 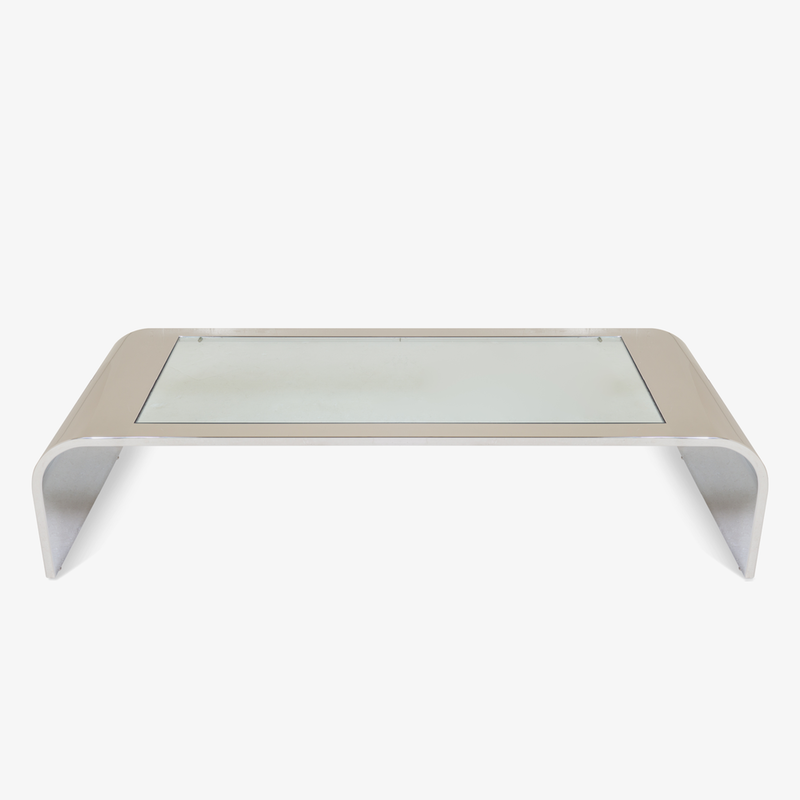 This cocktail table by Brueton is the perfect fit for a multitude of spaces with varying styles. 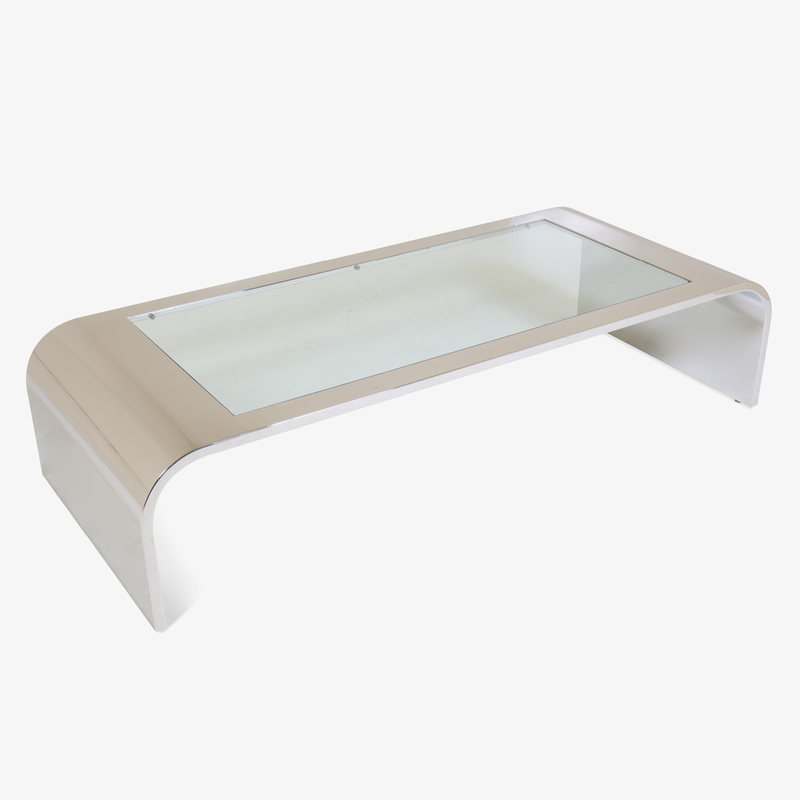 Excellent for both a modern living room or perhaps a streamlined office space.